Turmeric comes from the Curcuma longa plant that grows in Asia and Central America. It is sometimes known as Indian saffron or the golden spice. The golden spice that you often see on shelves is the ground roots of the plant. Ground turmeric is also the major ingredient in curry powder. Besides the spice product, turmeric is commercially available in capsules, teas, powders, and extracts. The active ingredient in turmeric that gives the root it's unique medicinal properties is called curcumin. While turmeric has many benefits, it is only 3% curcumin by weight, and thus in order to get a more concentrated form curcumin supplements are often used. Although acute (short-term) inflammation is crucial and necessary to fight of infection and pathogens, it can become problematic when it is chronic (long-term) and starts fighting against the body's own tissues. The majority of Western disease stems from low-level inflammation. This includes diseases such as cancer, heart disease, metabolic syndrome, Alzheimer's, and various degenerative conditions. This is where turmeric and cucumin play a role. Curcumin is strongly anti-inflammatory and has been shown to match some anti-inflammatory drugs by fighting inflammation at the molecular level. One of the biggest mechanisms that contributes to aging and many diseases is oxidative damage. This oxidative damage happens within our cells and involves free radicals (highly reactive molecules that have unpaired electrons). Antioxidants are substances that inhibit oxidation, especially one used to counteract the deterioration of stored food products. Curumin happens to be a potent antioxidant that works to neutralize free radicals. In addition to fighting against free radicals, curcmin also boosts the activity of the body's own antioxidant enzymes. Curcumin derived from turmeric has shown to interfere with multiple cell signaling pathways that slow or reduce the growth of new cancerous cells or blood vessels in tumers. Researches have been studying how curcumin can affect the cancer growth and development at the molecular level. Although there has been limited studies conducted thus far whether or not high-dose curcumin could help treat cancer in humans, there is evidence linking preventative measures using curcmin against colorectal cancer. In one study in 44 men with lesions in the colon that sometimes turn cancerous, 4 grams of curcumin per day for 30 days reduced the number of lesions by 40%. Turmeric works well to help naturally treat cancer and could be especially effective at treating breast, colon, and skin cancer. Since curcumin is a powerful anti-inlammatory and pain-reducing compound, it has been studied in rheumatoid arthritis patients and the results of a multi-group study were published in 2012. Of three groups tested: curcumin treated, Dicolfenac sodium (an arthritis drug) treated, and a combination of the two, the curcumin group showed the highest percentage of improvement in overall scores. Did you know that heart disease is one of the biggest killer in the world? The curcumin found in turmeric may help reverse steps in the heart disease process. Curcumin's main benefit when it comes to the heart is improving the function of the endothelium, which is the lining of the blood vessels. Dysfunction in the endothelium layer is a major driver in heart disease and can cause an irregularity in blood pressure and blood clotting. Several studies suggest that curcumin leads to improvements in endothelial function. In addition, the potent anti-inflammatory and antioxidant components of curcumin greatly benefit heart health. If you are familiar with turmeric supplements or done prior research, you're familiar with the recommendation to take turmeric with black pepper. Black pepper contains piperine, which has been shown to dramatically increase the absorption and effects of turmeric. So if you are cooking with turmeric or curry spice make sure to season in some black pepper as well. And if, after speaking with your health care professional, you're considering taking turmeric supplements I highly recommend finding one that also contains piperine for maximum benefits. Please remember that turmeric is generally considered safe for use in medicinal amounts, but it is important to talk to a doctor before using this or any substance medicinally as it can interact with several medications. I recommend purchasing organic ground turmeric that is bright yellow/orange in color and has no added ingredients. 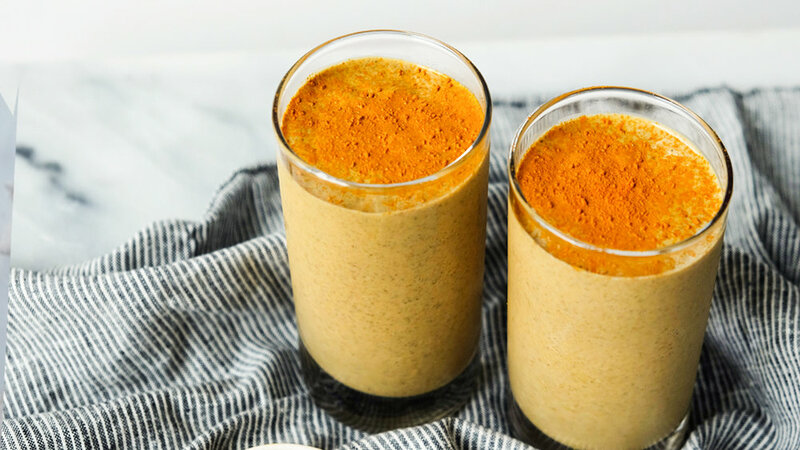 Let me know if this article was helpful and maybe inspired you to incorporate more ground turmeric into your cooking and/or drinks! 1. Cancer Lett. 2008 Aug 18;267(1):133-64. doi: 10.1016/j.canlet.2008.03.025. Epub 2008 May 6. 6. Nutr Res. 2012 Oct;32(10):795-9. doi: 10.1016/j.nutres.2012.09.002. Epub 2012 Oct 15. 7. Drugs R D. 2008;9(4):243-50. Older PostAntinutrients - Should I Be Concerned?